Home page | Natural Exposures, Inc.
Natural Exposures, your connection to the world of photography, nature, conservation, and the conduit to fulfilling your lifelong travel dreams. Daniel’s photographic expertise will enhance your photo skills. Tanya will shepherd you to the world’s most beautiful locations, and they’ll both introduce you to like-minded individuals who often become friends for life. The world is waiting and time is short. Let’s create memories you’ll never forget and the pictures to prove it. 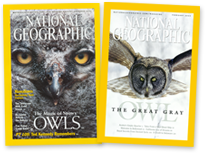 Daniel’s work is featured in many well regarded publications including National Geographic. It was alot of fun and a very rewarding "nature" experience. Thanks for another great time! We never spam and promise to keep your information private. Explorers are guests who have traveled with us and share their photographic adventures on this site. From 2014 Winter in Yellowstone Photography Tour I gallery by David and Shiela Glatz. From 2013 South Africa Photography Tour gallery by Mark and Cathy Pemberton. From 2018 Bosque del Apache Bird and White Sands Photography Tour II gallery by Jan L. Baldwin. From 2011 Costa Rica Photography Tour I gallery by Steve Henry. From 2013 Brazil Pantanal Jaguar Wildlife Expedition gallery by Christine Crosby.